Since 1967, Great Lakes Higher Education Corporation has been helping students and their families secure the funding they need to complete a post-secondary education. Great Lakes and its affiliates work hard to match eligible borrowers with lenders who can provide the loans they need to cover the ever rising costs of college tuition. As one of the country’s leading guarantors and servicers of student loans, Great Lakes works with millions of students borrowers, thousands of colleges and universities, the U.S. Department of Education and upwards of 1100 private and public lenders. As a non-profit organization, Great Lakes’ one aim is to help students secure the loans they need for college, and to help them manage those loans efficiently and effectively. Great Lakes has partnered with a large number of lenders, both private and public, to provide low cost education loans to college-bound students. Great Lakes Education Loan Services specializes in managing the back end of the loan process. They act as the direct contact between students and lenders throughout the life of a college loan. Great Lakes helps student borrowers with all aspects of their education loans, including making payments, monitoring outstanding balances, and tracking accruing interest. They can also help students to take advantage of potential tax benefits, and to apply for loan consolidation programs. Great Lakes’ full service extends to tutorials on budgeting for student finances, building a solid credit history while in college, and protecting oneself from identity theft. Great Lakes Education Loan Services acts as the full service contact between student borrowers and their primary lenders. Whether the lending agent is the Federal government, a state government, or a private lender, Great Lakes works directly with student borrowers to manage all aspects of their loan. Through their Great Lakes account, students can view current information about their loan, view all repayment options, monitor their outstanding balance, and make regular payments. Great Lakes also works with students to calculate the total cost of their loans, so that they fully understand their responsibilities as borrowers. In addition to helping borrowers manage their outstanding college loans, Great Lakes also offers a wide range of financial services designed to educate students on the best ways to manage their finances while in school, and following graduation. They provide detailed information on available repayment options, including loan deferments and loan consolidation, as well as advising student borrowers on what options they have should they encounter a financial emergency that threatens to derail their loan repayment progress. Great Lakes’ services extend for the the full life of the student’s loan, and they are always available to help student borrowers at every stage of the loan process, from disbursement to complete repayment. Like all student loan services, debt management lies at the heart of what Great Lakes offers its account holders. From initial loan agreement to final discharge, Great Lakes works closely with students to successfully navigate the often treacherous waters of student loans. 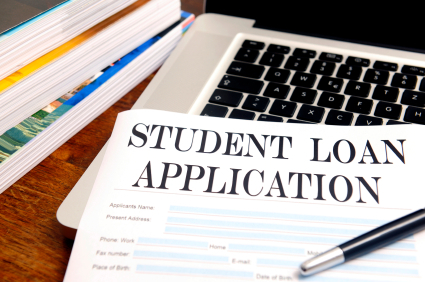 Their Ten Tips To Stay on Top of Your Student Loan takes students from initial application to final repayment, putting special emphasis on limiting loan amounts and avoiding ballooning interest payments. Following graduation, Great Lakes continues to help and advise students with the management of their outstanding loans. They can help students set up easy repayment plans, taking full advantage of discounts available for direct debit repayment programs. Great Lakes can also help students with loan consolidation and loan refinance programs designed to reduce monthly payments, and provide immediate relief to graduates who are just entering the workforce. Great Lakes representatives understand the risks inherent in any loan agreement, and every aspect of their service is designed to help students successfully discharge their education loans. Great Lakes not only advises college students and recent graduates on the best ways to manage their college loans, they are also devoted to helping borrowers avoid the potential catastrophe of loan default. Defaulting on a student loan can have disastrous effects on a student’s income and future credit score, and must be avoided at all costs. Great Lakes helps their account holders to avoid defaulting on their loans, and will work with borrowers and lenders to renegotiate repayment schedules to best benefit both parties. From initial loan disbursement to final discharge, Great Lakes Higher Education Corporation is devoted to helping students achieve their college dreams. Great Lakes understands that a college education is the key to a successful and rewarding future. Students relying on loans to pay for college will find that comprehensive advice and support is always available from Great Lakes Education Loan Services.